I currently only have a few not-so-little piggies right now but I am a registered breeder and exhibitor specialising in the rare and underdeveloped breed called argente. I also breed lilacs (pale grey) and golden agouti (in normal , satin and crested) I've been a registered breeder for.... OMG its been 20 years- how did that happen? 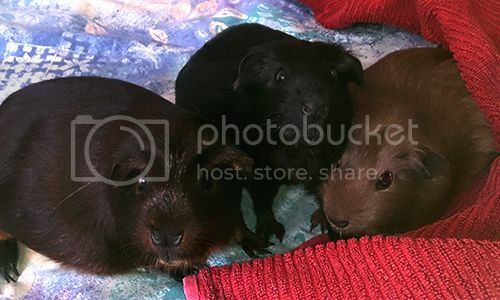 Diamonte (gold agouti satin crested), Candid (self black) and Adel (self slate)... Carousel isn't in this pic- her babies are pending. diamonte has had her babies before carousel.... she had two whoppers.... 120 and 130 grams each. 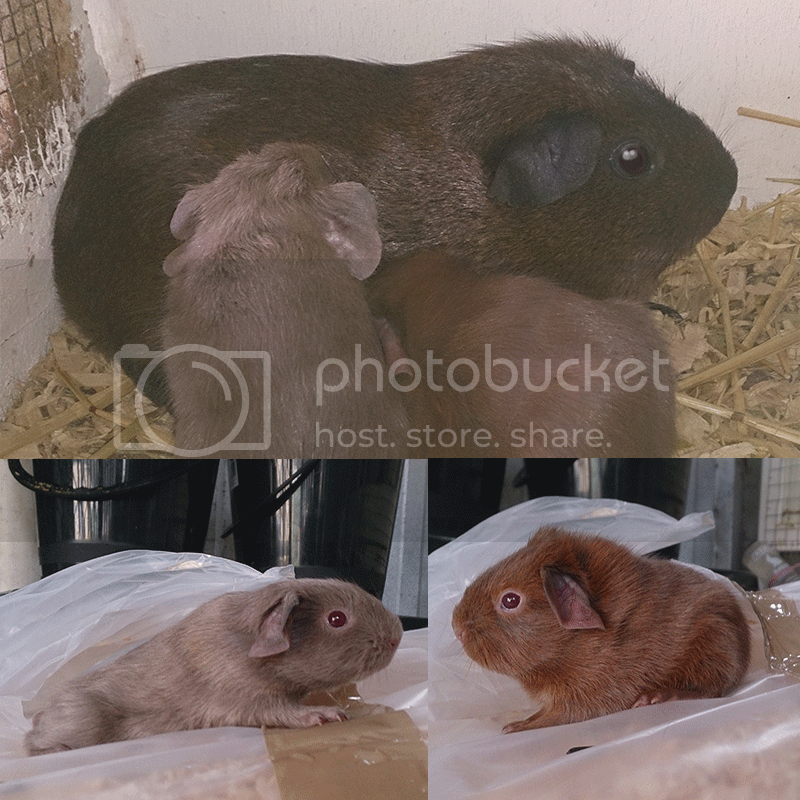 i seriously dont know how guineapigs can have such huge babies. genetics is a funny thing. Dark eyes is dominant to pink eyes, the gold is dominant to grey. there was a 1 in 16 chance of this little lilac (pale grey) girl cropping up and a 1 in 4 chance for the little golden (argente).